Beverly completed her predoctoral training at BroMenn Regional Medical Center in Normal, Illinois, her postdoctoral training at Saint Clare’s Hospital in Alton, Illinois, and has practiced as Director of the Psychology Department at Decatur Memorial Hospital. 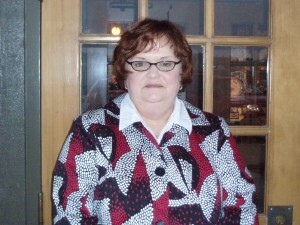 Bev is also a former member of the Multidisciplinary Elder Abuse Prevention team. She is currently on staff at both Decatur Memorial and Saint Mary’s Hospital in Decatur. Bev practices from a neuropsychological perspective with each client. The clientele she serves ranges from children and teens, ages 4 to 19, as well as adults, including the elderly population. Psychological testing and services include testing for Attention Deficit Hyperactive Disorder, Asperger’s Disorder, Traumatic Brain Injury, Cerebral Vascular Accidents, Dementia, Anxiety, Depression, and Bipolar Disorder. Additionally, Beverly does bariatric evaluations and competency to stand trial.